Dramatic and explosive, Supernova White is an 18 tipped 3-dimensional lampshade in radiant white, guaranteed to make a bold design statement as a main ceiling light. 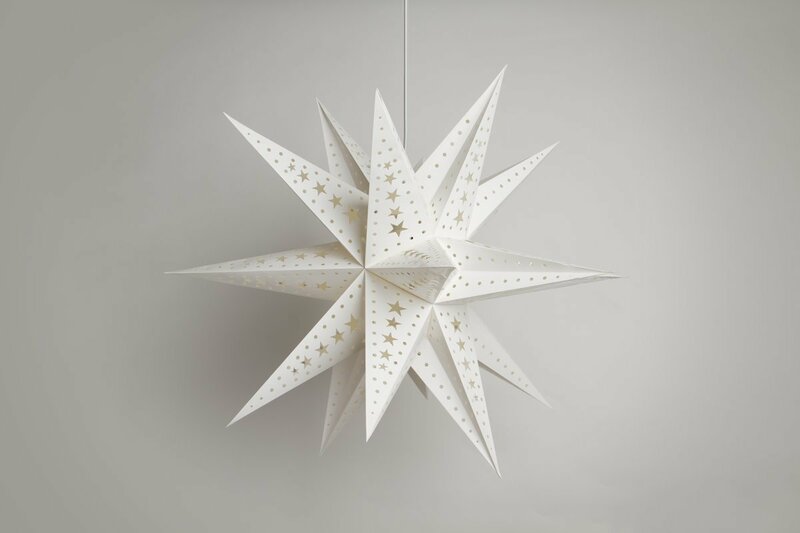 Geometrically stunning and simple to use, Supernova White emits a clear bright light that will illuminate a larger room and provide a dramatic focus for any space. 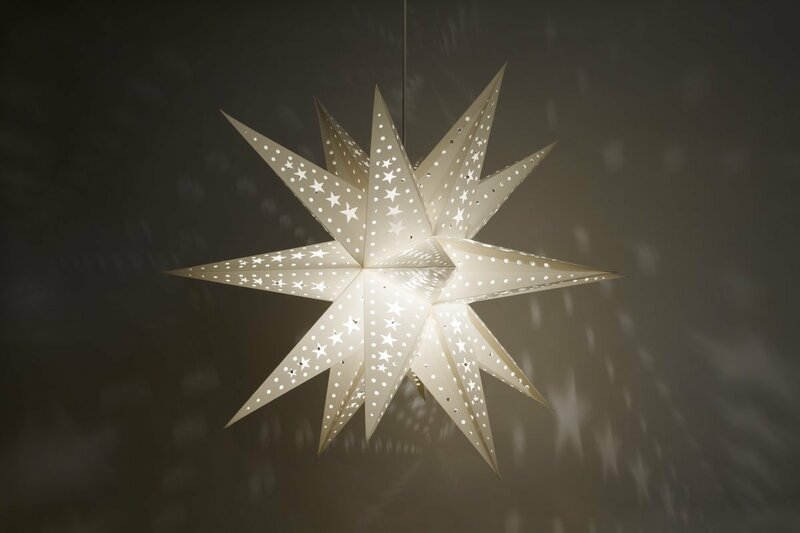 Each tip is studded with star-shaped perforations which project a cascade of atmospheric starry shapes onto walls and ceilings - perfect for a stargazer’s bedroom. The light produced by Supernova White is bright, making it at home as a main light shade anywhere. This flatpacked paper lampshade is as simple to use as it is stylish. Simply open it out like a concertina to reveal 18 cleverly constructed tips which point in all directions. Two clips secure the shade over your light fitting.